Adolescents and teenagers with cancer face unique treatment challenges and require a different level of support than young children or adults. Many teens with cancer fall within an ambiguous age range between cancer treatment programs designed for children and those which are appropriate for adults, a factor which adds to the challenges of diagnosing and treating teens with cancer. As young adults, teenagers are less likely than children to receive opportunities to participate in advanced clinical trials/research studies. Although the teenage years are considered a transition to adulthood, research has demonstrated that for certain kinds of cancer, adolescent patients achieve better treatment outcomes when they are treated at pediatric hospitals. ACCO offers FREE books and resources for families of children with cancer. Handling the natural physical changes and hormone fluctuations of adolescence can be very difficult for any teenager. This challenge is significantly magnified for teens battling cancer, who must also attempt to cope with the harsh emotional, aesthetic, and health-related side effects associated with cancer treatments. Although steroids are a crucial component of many cancer treatment protocols, this medication is known for causing weight gain, fullness in the cheeks, and the accumulation of fatty tissue at the back of the neck. Additional aftereffects of teen cancer treatments often include: nausea, vomiting, mouth sores, diarrhea, constipation, fever/chills, skin problems, and hair loss. Many teen cancer survivors suffer from long-term illnesses and side effects (“late effects”) during adulthood as a direct result of the cancer treatments they received as adolescents. The chronic discomfort and unwelcome physical changes associated with many life-saving cancer treatments can take a significant toll on an adolescent cancer patient’s already fragile self-esteem and confidence levels, which is why it is so important to equip these teens with the necessary information and resources to help them better understand and process the effects of their illness. 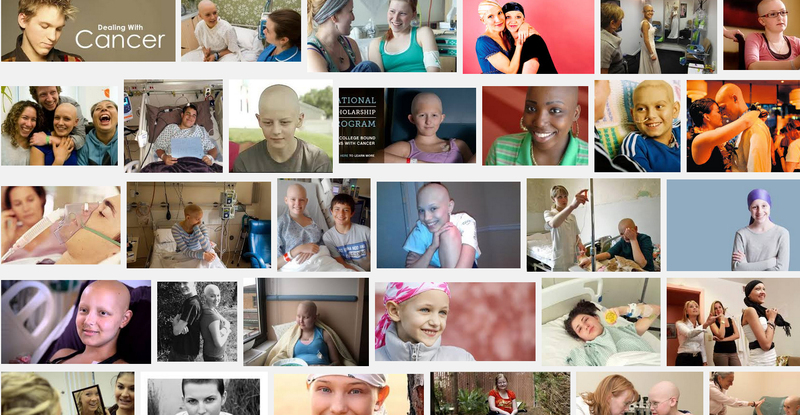 Every year, approximately 15,000 teens in the United States undergo treatment for cancer. Research saves lives. Please join us to raise awareness about childhood cancer and secure funding for much-needed research initiatives to cure all forms of childhood cancer.